Natalie Palladino was a normal fifteen-year-old, at a normal school, about to face a normal maths test. Now her codename is Nomad, and she’s training to become a secret agent for HELIX. No one can know that sorcery exists. No one can know that HELIX protects humanity from the Inductors. 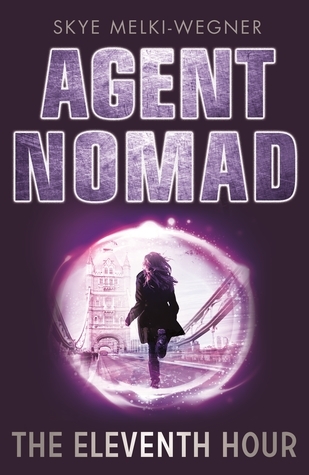 And no one can know that Nomad is a Witness, with a dangerous magical gift. The Inductors are hunting her. If they find her, they will kill her. But there’s a traitor inside HELIX, and only a Witness can identify them. The problem is, Nomad hasn’t mastered her powers. She can’t levitate, fight or wield magic like her fellow recruits. If she’s the only hope to stop a sorcerous bomb being detonated, the world is in trouble. The eleventh hour is coming . . . This does certainly look like the beginnings of an interesting series. I'm looking forward to picking this book up! First Lines: It is the key to survival, the key to life. My father's old dagger. Synopsis: An action-packed, blood-soaked, futuristic debut thriller set in a world where the murder rate is higher than the birthrate. For fans of Moira Young’s Dust Lands series, La Femme Nikita, and the movie Hanna. I stumbled across Lindsay Cummings' Instagram some time ago and have been following her pics and promotion but hadn't had the chance to pick up any of her books. 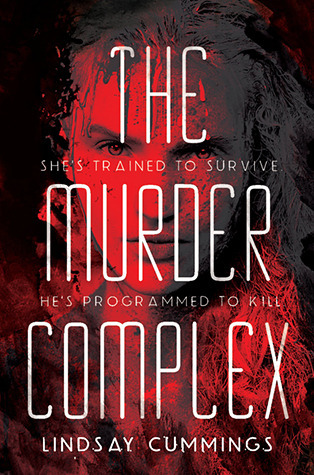 It was after watching one of her Youtube videos on help for writers that I realized I hadn't read anything of hers so I picked up The Murder Complex. I liked the world that Lindsay has created: The Shallows. Don't get me wrong, it's not a place I'd personally live in but it came alive and felt real and believable. The only thing I did think of was that the perimeter reminded me of many other dystopians that had walls keeping them in. The story needed it, but I guess I hate to say it but felt it was bordering on cliche. The characters were an interesting mix. Meadow, a girl who would do anything to keep her family safe, including kill. Trained in combat and always on her guard, Meadow quickly became my favourite when I was reading her chapters. Zephyr is a bit of a complicated one. He's a ward of the government and lives with all the other orphans on the reserve, and up until a certain point, I'd believed him to be fairly innocent in the story. It's not what you think though and I did really like Zephyr as a character in the book also. Talan, Zephyrs friend and fellow ward was another one I felt I needed to mention. She's mouthy and rebellious and a great addition to TMC cast. If you are looking for a gripping read that is a bit gory I suggest giving this one a try. I'm already itching to read the sequel to this so that's saying something. Fave Lines: Sometimes we have to give up little pieces of our humanity so that we can keep living. The #1 New York Times bestseller and modern classic that's been changing lives for a decade gets a gorgeous revamped cover and special additional content. I haven't read the book, but this weekend I binge-watched all 13 episodes of Thirteen Reasons Why. It showed up on Netflix (Australia) on the 31st of March and by the preview on there I was itching to see whether it lived up to the hype of the trailer. And yes, yes it did! I feel guilty for not reading the book, and I hope those of you that have, will enjoy the tv show as much as the book. It was intense, amazing, and downright cruel the things that Hannah Baker had endured. You will be bracing for the worst that is yet to come, because you know what is coming, and it's hard to watch someone go through these things and not feel the need to yell at the tv and tell the other characters to stop it! 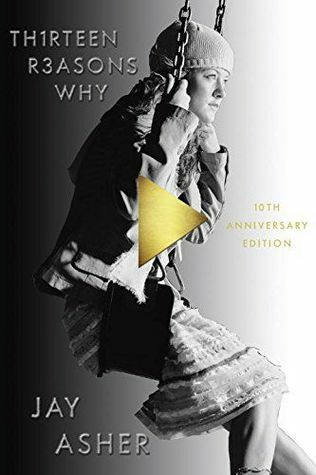 Thirteen Reasons Why is dramatic take on what pushes a person to commit suicide. It shows the dark side of High school and how separate incidents can drive a person to choosing such a final end to their story. I loved all the characters in their own way. It's not unusual to like the main character the most, but my second favourite apart from Clay was Tony. He kept Clay in check throughout the tapes and kept him going when he tried to quit. There are adult themes so keep that in mind when watching. Towards the end it gets harder to watch so brace yourself for those parts, but definitely worth the time. I'm guilty of watching this all in just two sittings, it was that good. I was hooked. Hope you all enjoy this and take away a bit of insight as well. Bullying can come in many forms and when it happens, don't be a bystander!